We are gearing up for this year’s Stoptober campaign by encouraging residents to give up smoking throughout October and use the opportunity as a springboard to quit for good. Last year more than 880 people in South Gloucestershire took part, and this year we are hoping that even more residents will take the first steps towards quitting. Throughout September, staff have been out at roadshow events across South Gloucestershire, directing people to the support that is available to help them kick the habit. As well as signing up a number of people to get involved in the quit attempt, a quit smoking group has also been set up for council employees. Joe Scrase, who works in our Human Resources department, joined the quit smoking group a month ago and has been attending weekly lunchtime meetings in Yate. He had been smoking up to 20 cigarettes a day for the last 10 years, but he’s about to reach a major milestone having not had a single cigarette in the last month. For Joe there were a number of motivations to try to stop. He said: ‘I’m keen to get back into sport, so the health benefits were important and I’ve really noticed a difference in the monthly finances. 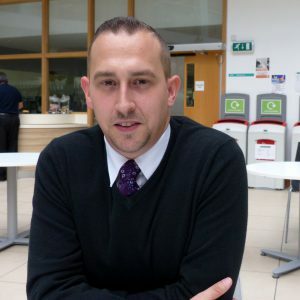 Cllr Toby Savage, Chair of South Gloucestershire Council’s Health Scrutiny Committee, added: “I’d encourage anyone thinking about giving up smoking for good to come along to one of the group sessions running throughout Stoptober. They are free and open to anyone who wants a helping hand to stop smoking. You’ll be joining other people who want to stop smoking and with the help and support of our trained advisors you are much more likely to quit for good. If you’re looking to take part in Stoptober, text your name and “READY” to 80011. You can also call us on 01454 865502 or email smokefree@southglos.gov.uk to make an appointment at one of the free support sessions. The sessions take place in Patchway every Tuesday between 4pm and 7pm and in Kingswood every Thursday between 3pm and 7pm. Same day appointments are available.